Need to know how to grow a lemon tree? Then you’ve come to the right place. The following pages are packed with information on everything from how to care for lemons to overcoming common lemon tree problems. So don’t let the thought of growing lemon trees keep you from enjoying these zesty fruits. Use these tips on caring for lemons to successfully grow your own lemon tree. Environmental consistency is essential to flower and fruit set of lemon trees. Any sudden change can cause fruit or flower drop on lemon trees. Have you found yourself wondering: why is my lemon tree losing flowers? Click on this article for more information. Lemon tree transplanting is a tricky prospect. Find out when the right time is to transplant lemon trees and other helpful information of lemon tree transplanting in this article before you take on this task. Click here for additional information. Growing lemons is a tricky business, as one wrong move and you?ll find all your effort has been for nothing. Getting lemons to bloom is about balancing the plant?s needs. Learn about the various pieces in the blooming puzzle in this article. Lemon trees grown in pots eventually outgrow their containers. When do you repot lemon trees? Click on the following article to find out when the best time to repot lemon trees is as well as how to repot a lemon tree. Lemon trees are a great addition to the landscape, but sometimes your trees will develop problems like yellow leaves. This common issue can result from several different causes, but most are simple to correct. 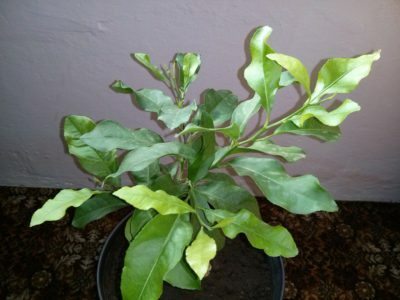 Click here to learn more about yellow lemon tree foliage. There are a number of lemon trees out that claim to be sweet and, confusingly, several of them are just called ?sweet lemon.? One such sweet lemon fruit tree is called Citrus ujukitsu. Find out how to grow Citrus ujukitsu trees in this article. Planting under lemon trees can reduce weeds, enhance soil fertility and reduce the need for pesticides and herbicides. You can also create a handy "kitchen garden" where herbs and other edible plants compliment the recipes in which you use lemons. Learn more here. Are you seeing small tree shoots at the base of your lemon tree or new strange looking branches growing low on the tree trunk? These are most likely lemon tree sucker growth. Learn more about them in this article. Like other fruiting trees, cutting back lemon trees will foster healthier fruit. The question is, how to prune a lemon tree and when is the best time to prune lemon trees? The information in this article should help with that. There are a number of lemon tree insect pests. These include relatively harmless bugs and more serious pests. For more information about how to get rid of insects on lemon trees, this article will help. There are a plethora of lemon tree diseases, not to mention pest damage or nutritional deficiencies, that can affect how, or if, your lemon tree bears. Knowing how to identify lemon diseases and their treatment is important. This article will help. If you live in a tropical or subtropical climate, you can grow a lemon tree. Read this article to find out about lemon tree lifespans and what you can do to get as many years of enjoyment from your tree. Click here for more info. Since you aren?t likely to welcome swarms of bees in your house or greenhouse, you?ll need to pollinate lemon trees by hand. Read this article to learn about indoor lemon tree pollination. Click here for more information. An interesting specimen citrus tree is the dwarf Ponderosa lemon. What makes it so interesting? Read this article to find out what a Ponderosa lemon is and all about Ponderosa lemon growing. Click here for more info. Most of us probably buy seeds from the local nursery or online, but you can harvest your own seeds from fruits and vegetables too. How about citrus fruits? Can you grow a lemon tree from seed, for example? Read this article to find out more. Lemon trees make attractive ornamental specimens in containers or in the garden landscape. So what happens if the lemon tree fruit does not turn yellow and is there a ?cure? for lemons that stay green? Find out in this article. Citrus trees are susceptible to a plethora of problems. As with most leaf drop in citrus, treatment of leaf loss in lemons means narrowing down the field of candidates. This article will help with that. Growing Meyer lemons is popular with home gardeners and for good reason. Read the following article for information on growing this type of lemon in the garden or home. Click here to learn more. There is nothing fresher smelling or tasting than a ripe lemon from your own lemon tree. Harvesting lemons at the right time means checking your tree regularly. Read here for information on when to harvest lemons. If you are looking forward to homemade lemonade and your tree is not producing, there may be a simple explanation. Get help from this article when you find yourself with no fruit on lemon trees. Although some fruit drop is normal and not a cause for concern, you can help prevent excessive drop by providing the best possible care for your lemon tree. Read this article to learn more about lemon fruit drop. If you live in a cooler climate, or simply have limited space, but still want a lemon tree, container lemon trees may be your best option. 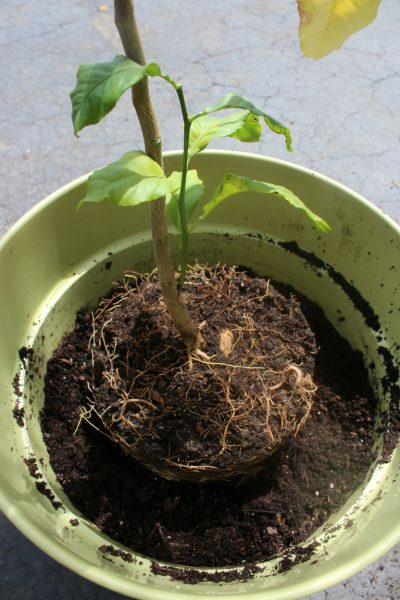 Take a look at how to grow a lemon tree in a pot in this article. Growing a lemon tree is not that difficult. As long as you provide their basic needs, growing lemons can be a very rewarding experience. This article will help with that. If you are growing a lemon tree and it has not produced lemons and still looks healthy, it is possible the tree is lacking nutrients. This article will remedy that by explaining how to fertilize a lemon tree.